Ultra-lightweight; extraordinarily comfortable. 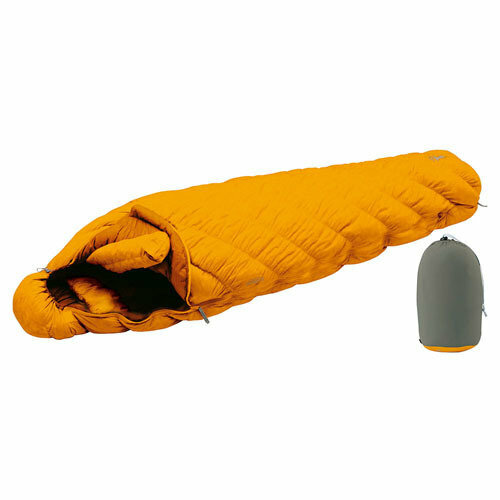 This high-quality sleeping bag stores super compactly. This highly-versatile model can be used in a wide variety of mountain climbing activities and environments during snow cover, such as winter climbing lanes and traverses.